This recording with the Nuremberg Symphony Orchestra features beautiful performances of both film and classical music by two composers who have led somewhat of a double life. 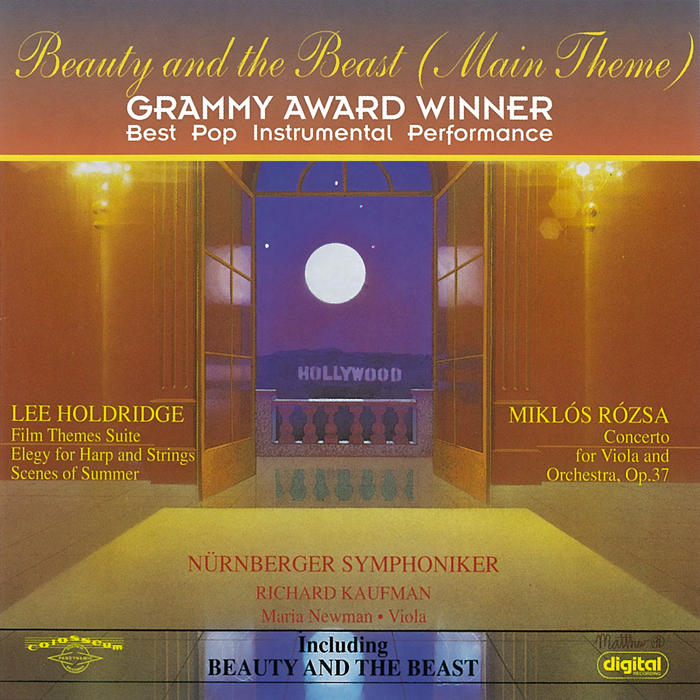 The album includes the haunting theme from Beauty and the Beast, the winner of the Grammy Award for Best Pop Instrumental Performance in 1993. Lee Holdridge has arranged and conducted for the likes of Placido Domingo and Neil Diamond. Holdridge is also a famous symphonic composer. The great cross section of Holdridge’s many magnificent film and classical works are presented here. Dr. Miklós Rózsa is best known for his film scores Ben Hur, Spellbound and The Jungle Book to name but three. Rózsa, however, is also one of the most respected and renowned classical composers of this century. Rózsa’s “Theme and Variations”, in fact, was a part of the program that infamous evening when Leonard Bernstein stepped in for an ailing Bruno Walter and became a star. The Viola concerto included here is the composer’s last full-scale symphonic work.